Part of the public diplomacy and culture programme of the Latvian Presidency of the Council of the European Union, the ‘Ornamentalism. Purvītis Prize. Latvian Contemporary Art’ exhibition will be featured at the 56th Venice Biennale. This is the first time that a Latvian project has been included in the official Collateral Events Programme of the Venice International Art Exhibition. The exhibition is based on eight years’ worth of records of the contemporary art process initiated and organised by the Purvītis Prize, the most prestigious of contemporary art awards in Latvia. The curator of the exhibition, the internationally acclaimed art theorist Viktor Misiano has chosen eight of the artists nominated for the Purvītis Prize during the history of the award – the ones who, to him, are the most representative of the trends of thinking and expression in contemporary Latvian art. The exhibition features works by the winners of the Purvītis Prize – Katrīna Neiburga, Kristaps Ģelzis, Andris Eglītis and Miķelis Fišers, as well as by Ieva Epnere, Ģirts Muižnieks, Rimans Korovins and the Orbita group of artists who have all been nominated for the award. Viktor Misiano, who created the concept of the project, has previously worked as the commissary of national exhibitions at the Venice Biennale; he is the ex-president of the Manifesta European Biennial of Contemporary Art and Editor-in-Chief of the Moscow Art Magazine. Curator of the exhibition, Daiga Rudzāte, Editor-in-Chief of the Arterritory.com art portal and Director of the INDIE Cultural Projects Agency, has curated all four of the Purvītis Prize exhibitions; she was also the commissary of the Latvian exhibition at the 54 Venice Biennale in 2011. The exhibition is presented by the INDIE Cultural Projects Agency and Arterritory.com art portal in association with the Secretariat of the Latvian Presidency of the Council of the European Union. The exhibition is supported by SIA Alfor, the Latvian National Museum of Art and the State Cultural Capital Foundation. 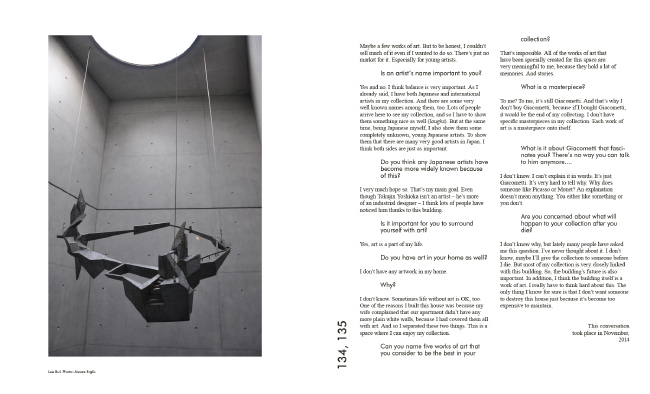 In conjunction with the exhibitions, the Arterritory.com portal is publishing Volume Two of its annual Arterritory Conversations with Collectors magazine, a compilation of interviews with eleven influential art collectors from all over the world. 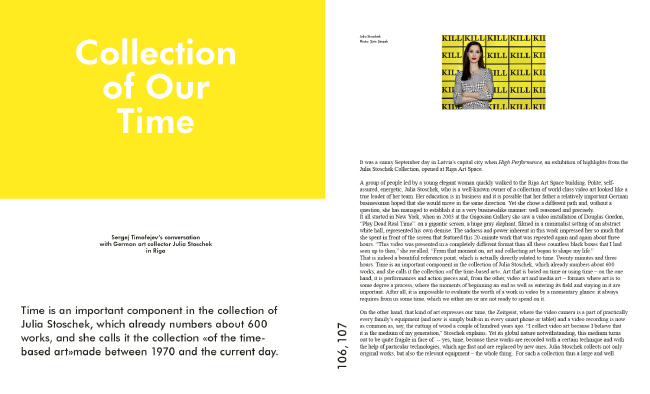 The magazine will be presented as part of the professional preview days of the 56th Venice Biennale and will be available in the bookshops of the Biennale. 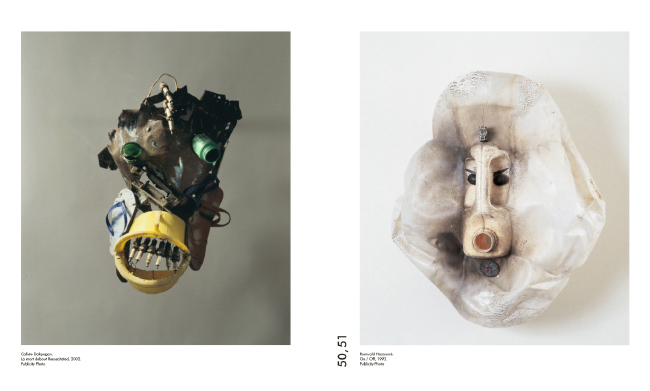 In speaking to these eminent collectors – Gilles Fuchs, Igor Tsukanov, Ryutaro Takahashi, Giuliano Gori, Julia Stoschek, Alain Servais, Jean Pigozzi, Jānis Zuzāns, Takeo Obayashi, Egidio Marzona, and Isabelle Maeght – the objective of the magazine's creators was not only to present an insider's look at excellent art collections, but also to show that art and the passion to collect it can change a person's life and view of the world.